Pregnancy* and a Higher Power | Simple. Spectacular! 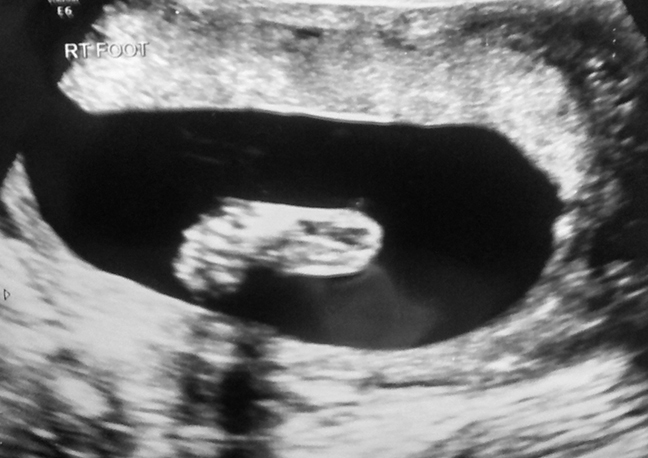 She had the ultrasound gadget sitting right next to the little doppler, ready to go. She knew how long the seconds felt. The nurse had to ask; maybe the numbers were not clear enough on the chart. Five pregnancies*, including this one. Two live births. But the doctor knew; no need to ask. After all, she was there with a steady supply of tissues moments after it was confirmed the baby’s heart was no longer beating. It wasn’t likely, but it had happened. Two babies, whose hearts stopped beating so soon, just six months apart from each other. I lay on the table in the office, stomach bare and body still. No breathing. Not even the crinkly paper on the table made a sound. She moved the doppler around my abdomen just a few seconds before switching to the hand-held ultrasound instead. I watched the rhythmic flashes on the black and white screen that was no larger than my phone. She switched back to the doppler and knew right where to hover this time, letting that sweet sound flow through. Dadum, dadum, dadum, dadum. 140 beats per minute, I think she mentioned – although the numbers meant nothing compared to the steady sound I craved to hear. It felt like I was opening someone else’s mail. This wasn’t my news, was it? I was braced for hearing the maybes, the uncertain warnings, the waiting, the wavering. Healthy baby? I wasn’t used to those terms applying to me. 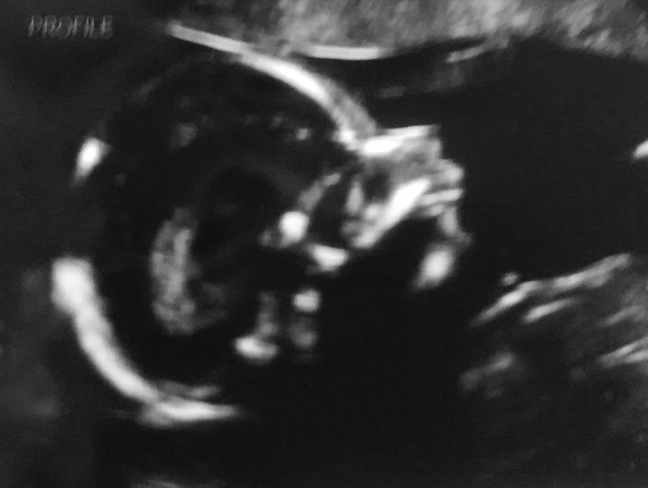 With my first, I was oblivious; I merely assumed baby was healthy, so I didn’t relish or even remember those statements I now crave. The second and third were deceptively normal, until the sweet sounds of heartbeats were no longer heard. I couldn’t believe the fourth would be healthy, and doubts and questions filled most of the pregnancy. Now this. Strong. Healthy. I soaked it in and tried to believe that the words described my own little one. Tears welled, and I could barely choke out a “Yes,” waiting until I reached the car to release the sobs of emotion. I wish I could say I confidently shared how I do in fact believe in a higher power. How I believe in a God so powerful that He can grow life in places of death, hope in places of grief and light in places of deep darkness. How He not only forgives sins and pours out mercy and grace undeservedly, but How he also heals and holds and calms and carries when I can’t even hold up my own head or have the desire to open my own eyes. How He is more than just a higher power, more than just a distant miracle-worker, and how he is an intricate weaver, detailed writer and constant companion who loves His children, even through the hardest moments. But I didn’t wax eloquently in that doctor’s office. I nodded and squeezed out just a few syllables, somehow managing to schedule another appointment before letting the emotional flood loose in the parking lot. This year brought the birth of a baby I never thought we’d have, and the news of a new life that wasn’t planned this soon in my own storyline, but wanted and loved and written in the Creator’s story long before I took my own first breath. With the disappointments and hardships of life, my optimism has been bruised, and my dreams now hover much lower near the ground. But my God gives good gifts. Yes, even in the hard. But this time, good gifts abounding on top of good gifts. In two babies, coming so close, I never dared to dream He’d allow to be ours. Beautiful, Erika. My third pregnancy ended in miscarriage, so I understand the joy, the surprise, over a healthy life. God is so good. Thanks, Alison! I’m so sorry for your loss, but I’m also so thrilled you understand the joy!